Many of us have wonderful memories that revolve around the kitchen: baking cookies with your grandmother or now with your children; special recipes that hold a place in our hearts or just a favorite treat that always makes us smile. 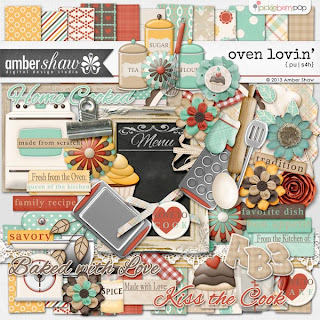 Here's a chance to document that love of food with Amber's kit, whimsically-titled "Oven Lovin'"! Don't forget to grab this new kit while it's on sale over at PBP! Sneak A Peek and Win It! 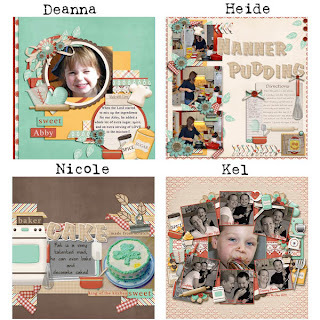 Sneak a Peek at this lovely kit!